WebCanDo Blog: Is Microsoft is going Mobile again? Is Microsoft is going Mobile again? The past two years have not been kind to Microsoft. The company has struggled in the smart phone market. The latest Microsoft based phone the Kin was quickly pulled from the market earlier this year and rumor has it that Microsoft's board docked Steve Ballmer's bonus for the last fiscal year in part because of those missteps. Microsoft also mismanaged its mobility position with Google Android which has gobbled the majority of its market share. The Windows Mobile 6.5 software released last year was poorly received and the expectations of is new Windows Phone 7 are unclear. To combat Google, Microsoft has recently filed a lawsuit against Motorola Inc., alleging the handset maker is infringing Microsoft patents in its Android phones. So is Microsoft in the mobile game? CEO Steve Ballmer says his company finally has a compelling story and has invested more than $500M on its new launch. 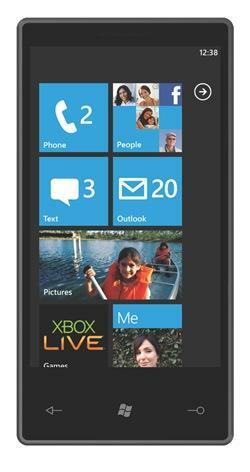 Microsoft will announce the initial wave of handsets that will use Windows Phone 7 on October 11th. Ballmer believes the new software will compete more effectively against Apple Inc.'s iPhone and Google Inc.'s Android operating system. Microsoft originally planned to launch Windows Phone 7 with eight manufacturers, only three have confirmed investing in the technology. HTC, Samsung and LG. The other manufacturers Dell, HP, Sony-Ericsson, Garmin-Asus, and Toshiba have all declined to comment about the launch. Microsoft's biggest challenge may not be in the device market, but convincing third-party developers to create applications for the platform. To drive development, Microsoft has been rumored to offer cash incentives to Windows Phone 7 developers. They plan on having several thousand applications ready for the launch. The Windows Phone Developer Tools have been downloaded over a half a million times in more than 200 countries. Microsoft claims to have trained 20,000 developers in preparation for the launch. Does it compete with the IPhone? The handsets are reportedly set to become available around November 8 exclusively on GSM cellular networks, with CDMA devices to follow in 2011. The latest report is based on discussions with people familiar with Microsoft's Windows Phone 7 launch plans, according to The Wall Street Journal. Microsoft anointed AT&T its premier Windows Phone 7 partner in the U.S at the World Mobile Conference and the Wall Street Journal reported that the carrier will sell the three Windows Phone 7 handsets at launch. Is it too late in the game? Expectations are high for the debut of Windows Phone 7 and some critics believe its Microsoft's last chance to capture any action in the current Smartphone wars. During the second quarter of 2010, Microsoft's worldwide market share dropped from 9 percent to 5 percent compared to the same period in 2009, according to Gartner. Gartner predicts in 2012, Symbian as the leader in smartphone devices with 39% of the market. Android second with 14.5% of the market. iPhone third with a 13.7% market share and Windows fourth, with a 12.8% share of the market. BlackBerry OS will get fifth at a 12.5% share, Linux devices at 5.4% market share in sixth place and lastly Palm webOS about 2.1% of the market, in seventh place. Only time will tell whether Microsoft reclaims its position as a mobile leader and its devices grab market share. A good place to start researching Microsoft's strategy is to check out the demo site for the Windows Phone 7 at http://www.windowsphone7.com/ . After using the demo and checking out the operating system, this device might get them back into the game.